What do Karlton's coaches say about his system? One of the fastest growing marketing consultancies in North America is seeking qualified and highly motivated Marketing Coaches to facilitate demand. You can expect to earn between $87,000.00 to $189,000.00 from a standing start with our World Class E-Learning Marketing System (all online, automated and done for you!! "Clone it" and call it your own) as a coach to business owners desperate to learn our "Insider Secrets" on how to market and operate their small business profitably on a Low Cost/No Cost Budget. People from all walks of life, just like you have discovered the Business Coaching profession to be the ultimate business -- as well as an extremely rewarding opportunity to learn business and marketing skills at a very high level. If you are involved or interested in the coaching industry, this information is of critical importance, and you need to read every word of this letter. I have made millions of dollars in the business coaching industry and possibly sold more 12 month business/marketing coaching programs than anyone else on the planet. I have done it face-to-face, over the phone, in coffee shops, living rooms over babies crying, in intense board-rooms with suits "that have heard it all before", in a pub over a beer wearing flip flops, standing up, sitting down, in the USA, Canada, Overseas - you name the situation - and I have sold a 12 month coaching program around it. I have been told my coaching sales system is 'the best there is' - and my Closure Rate is second to NONE. I do not say this to impress you, but rather impress upon you that I know how to sell high-end coaching programs. This is about you making money off other peoples (the most talented marketing minds on the planet) blood, sweat, tears and expertise - so I will get straight to the point and avoid the fluff and usual platitudes that normally accompany the opening of these letters. Over the past 3 to 4 years I've gone in a much different direction than many of the business coaching "guru's" you've probably heard of. While most have been creating offline courses and programs teaching business owners how to systematize and operate their business effectively. I found this method limiting, expensive, and a glorified way of selling 'time for money'. My experiences are that - No one will tell you "they are bad at business," but business owners will almost religiously say "sales and marketing is not their forte". So I decided I wanted to create a far more sustainable and profitable model - and I wanted to teach business owners what they kept asking me for - and the LIFEBLOOD of any small business... "Marketing". This is why we call ourselves "Marketing Coaches vs Business Coaches" - when we hand over a business card we instantly have half a foot in the door. I also wanted to get my coaches "online" creating passive income, and with a system that not only facilitated the coaches success, but that of the SECRET INGREDIENT of coaching Joint Ventures (JV's) (getting and servicing all your own clients is difficult, EXPENSIVE and incredibly time consuming) and increase the JV's chance of marketing success as well. So I developed our E-Learning Marketing System (now with over 60 contributors including the biggest names in the game like Jay Abraham, Robert Kiyosaki, Donald Trump, Paul Hartunian, Steven Covey, John Childers, Alexandria Brown as well as Internet Marketing legends Rich Schefren, Mike Filsaime, Armand Morin and too many more to mention) that provides marketing resources, templates, systems and video content directly to clients of Our E-Learning Marketing System - at NO charge! I have already paid for it and most of the "gurus" BELIEVE strongly in what we are putting together. They recognize that every coach NEEDS these marketing resources to ensure all small business clients are getting the RIGHT advice/direction/material. We have one of the fastest growing marketing coaching companies in North America - and our retention rate is 2-3 X HIGHER than the average in our industry! $130,000.00 in First Six Months! "The LGC system is fantastic and the ongoing support provided outstanding. The initial decision to join LGC was a tough one for myself and most importantly my family... it is one that I feel blessed that I undertook and one of the best decisions of my life. What the business has taught me has been surreal... working with my clients and the coaches I now have under me since becoming a Master Licensee... remarkably rewarding! If you enjoy strategic sales and marketing and are provided the chance to join LGC - I recommend highly you TAKE IT!" "I made $189,000.00 net profit within 7 months as a coach and that includes two months vacation with my family in Korea! I have since acquired the rights to Alberta and look forward to an enjoyable career in the fast paced and growing industry of Marketing Coaching. If you 'Love Business'... I cannot recommend the business and the program highly enough." Profound Results via Powerful Inexpensive Marketing Strategies! "I joined because I was impressed by the commitment the team has to small business and especially the ability to provide inexpensive marketing solutions for small business. The system that they have created is the most complete, cost effective solution on the market for small businesses that I know of - it will really turbo charge business profits." This is why almost everyone is failing! The original goal with our coaching program was to get every coach up and running with clients and a successful lead generation joint venture relationship within 4 weeks! We taught them how to create the Joint Venture relationship, what to say, when to say it, provided all the necessary paperwork and what to do to start making both parties some money! I was so frustrated by how slow this process was, so I set out on a mission to see how we could cut down the time, and increase the success, of a brand new coach SUCCESSFULLY making their first profitable Joint Venture relationship! In the Middle of the Recession and Out of Sheer Desperation for My Coaches, I Accidentally Stumbled Upon a Marketing Coaching System That Was So Easy, Anybody on The Planet Could Become a Successful Marketing Coach and Be Profitable Within 14 Days! Now, I do not want to make out like I am some genius who created this idea from fresh air, I've got to tell you the truth. It was NOT my invention, but I actually borrowed, and in some cases, stole, the foundation of the program from 5 different business models that I had learned and studied from other top marketers and internet marketing gurus. Upon reflection, there were actually 7 different business models I had learned and currently using in my business. Each of these models worked, but at the same time, they each had some potentially terminal flaws that stopped almost every "normal" business coach from succeeding wildly! Until one day I popped out of bed like Fred Flintstone, from a deep, deep sleep. Prior to lying down I was trying to figure out a way to shave time off of the system we were teaching, and that's when THE LIGHT CAME ON! When I put the pieces from each of these models in a very specific order, one that almost seemed backwards at first... It instantly made a money getting system that ANYONE could do within 14 Days! I Gave it A Name - I Called It... "E-Learning Marketing System"
The E-Learning Marketing System provides an incredible ground floor opportunity to be a pioneering member of a company that has quickly become a major presence in the sales and marketing arena for small business and we are looking to expand our successes by creating qualified Marketing Coaches to align and joint venture with high networked individuals to provide a "Do you want fries/marketing with that?" offer - TAILOR MADE FOR TOUGH TIMES LIKE THESE. Example; speak to your local networking group chapter leader and have them offer your $20,000.00 offline marketing program for only $97 monthly to their members and let them share in your automated internet profits. Now do the same with the small business publication (Coffee News, local magazine selling advertising etc...) plus the person who recruits new members at the local Chamber of Commerce! Three relationships will equate to more than $97,479.00 per year of online income plus massive back end sale opportunities. Our E-Learning Marketing System is a $20,000.00 coaching/mentoring program delivered online for a only a small monthly fee. The system includes weekly e-classes, continual marketing assignments, video content (over 30 hours!! Makes your E-Learning System "sticky" so clients do not cancel) and resource material from some of the most powerful marketing minds on the planet including Jay Abraham, Steve Covey, Michael Gerber, Rich Schefren, Mike Filsaime, Alexandria Brown, Robert Kiyosaki, Donald Trump, John Childers, Armand Morin and too many more to mention. 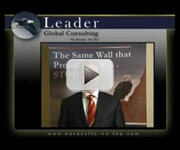 The material is powerful and will not leave you, or your clients, disappointed! Note - this is not a job offering, this is a business opportunity for you to start an Internet based marketing coaching company and leverage off your marketing/business expertise. There is no 'network marketing' component to this business whatsoever - this opportunity is VERY real and does expire as we only have a limited number of opportunities! Successful applicants will also be provided the opportunity to become our first "Territory Developers" of the E-Learning Marketing System - DO NOT MISS OUT - fill in your details below to get the ball rolling. $32,000.00 in First Six Weeks! "A friend and I attended a seminar they held... I leaned over to my friend and said 'I could be doing this!' I have since joined the team and loving it. I get to be bossy, creative and make an impressive amount of money doing it. How much better can a women have it?" 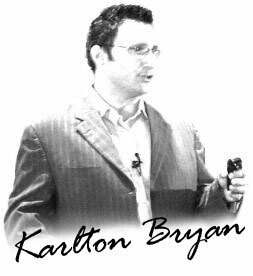 "After holding down key consulting positions in small, large, and multi-national corporations across Canada, USA, and Europe... a forum to pass this experience on to small business owners was one I could not overlook. After an incredibly successful and profitable start as a Marketing Coach it just made sense to acquire the company rights to the entire territory of BC. The ride has been enjoyable and if the opportunity to join our TEAM is afforded to you... it is one I cannot recommend highly enough." $90,000.00 Profit in Six Months! "Since May of 2006 the formation and growth of the company has been astounding. Joining the TEAM required selling my moving Company 'The Moving Medics'. A decision I have not regretted for a second. My entire investment was returned in the second month and something I highly recommend as a career choice for someone inclined to enjoy helping others succeed. If you 'love business' more than you love your 'actual business'... then joining as a marketing coach is something you should do." We provide the motivated, success-driven, business minded individuals just like you, the freedom, flexibility and incredible financial opportunity you've always wanted in a highly motivated TEAM environment (Together Everyone Achieves More). By using our unique proprietary E-Learning Marketing System, you'll soon be able to put your business, marketing or sales experience to work -- helping businesses everywhere increase their sales and profits -- and subsequently being compensated handsomely for it. Please read and forward to anyone with a FLAIR for marketing and whom you feel might be appropriate! Existing business/marketing coaches struggling to find clients!! We streamline and consolidate efforts to make MORE MONEY in less TIME! Marketing is the ability to matrix a situation in order to get the absolute MOST out of the absolute least amount of effort... our conglomerate of experts ARE the best. Our Competitors Are Trying to Work out What we are Up to and Why We Are So Successful - Care to Join Us Before They Find Out? This is a GROUND FLOOR opportunity with a company that WILL lead and dominate the entire marketing and business coaching industry. We need Marketing Coaches to operate as independent online marketing consultants who understand our basic yet comprehensive marketing systems and implement them for companies nationwide. The root of all Evil... however the thing that makes the world go around! It is a proven fact - on average - if you earn more you will live longer and have a happier, healthier lifestyle! Understand the ramifications of selling time for money as soon as possible. The business you develop should not fall into that category and always have enough time to 'have a life' and enjoy your family and friends. Spending time in the same office with the same people -- day after day -- breeds contempt! No thank you. Everyday has to be different, a challenge and an opportunity to learn, meet new people or develop something! Your business must be one that garners respect amongst your peers. Your own Online Marketing Company - specializing in 'Strategic Sales and Marketing' -- is pretty impressive to those around you! Of course -- this is subjective -- but without questions this has been our experience. We have watched many plug away in business for years working their tail off day after day with no 'leverage'... only to find themselves back in gainful employment! Do not let this happen to you. Wouldn't you agree that every hockey team needs a coach... so does every business! The vision is to make what we do as common place as an accountant for small business! The transient environment guarantees the market will NEVER become saturated and opportunities plentiful! Selling the same services as the bloke next door and down the street - Just say no! What if something were to happen to you... you need to be using your intellect in order to derive an ongoing income! Small businesses on average cost $250,000 over three years... then fail from lack of TEAM (Together Everyone Achieves More) work and a workable 'system'! After the CEO experienced a flood and a major fire in the same year with his 20,000 sq ft sports stadium - made him realize carrying a million dollars of stock to derive an income was not the path! Form a skeleton crew... Less People -- Less Problems! Create an endless journey to educate yourself - one day without learning something is a day you cannot get back! By interviewing/coaching and mentoring business owners for a living you effectively learn continually through their experiences. Making a handsome income doing what you enjoy, learning more in a month then ten average business people do, meeting interesting people every day and assisting their livelihoods... not a bad existence. Not to mention a wonderful career for those that way inclined. "I joined because I was impressed by the commitment they have to small business and especially the ability to provide inexpensive marketing solutions for small business. The system they've have created is the most complete, cost effective solution on the market for small businesses that I know of - it will really turbo charge business profits." I Am Qualified to Say - This Is The Most Beneficial Small Business Program on the Market! 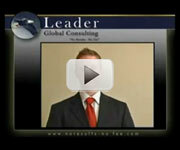 "The most cost effective marketing program that I have ever seen from a client perspective. 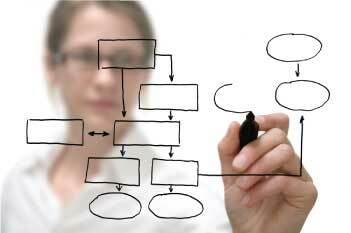 It generates results via it's easy to follow structured format. The marketing initiatives outlined provide success for any client willing to follow the simple plan." "I've been involved in Sales and Marketing for as long as I can remember and been exposed to some great systems over the years. We are operating a GREAT system and there is no question the client program is value packed and one all business owners should operate with. After acquiring twenty clients in a few short months I decided to become a Master and now coaching a team of LGC coaches. I look forward to road ahead and being a part of the exciting growth and opportunity the TEAM provides." I only wish I had found this type of training program so many years ago. "7 months after attending my first marketing Bootcamp, I have to state that the LGC marketing system is a phenomenal program for anyone who is looking for the definitive approach to success in business. As both a coach and a student of the system, I have been able to learn and employ so many concepts that had previously eluded me both to expand my own business and that of my clients with, in many cases, instant and significant results. After 30 years in sales, marketing, management and consulting it wasn't until I was exposed to the LGC marketing program that I was able to truly understand that successful marketing requires a system that can be learned quickly and easily applied. This is the system that does both. The fact that the program is a resource that provides me with unlimited potential can not be overstated. I only wish I had found this type of training program so many years ago." Probably the best part of being one of the pioneers is we will work "hands-on" with you to ensure that you succeed wildly! No promises of course, but if greatness IS a by-product of continuous creative collaboration - provided you are the qualified applicant -- we should make a mint and learn an incredible amount! Once we confirm together that you are qualified and committed to the activity - we'll brainstorm and strategize the best market segment and approach to the activity that we should pursue together. Also, hopefully, if our creative flow is "on", we should be able to identify and conceptualize some "killer" ways to accommodate our focus and execution to profit even greater and sooner from and for your efforts, in your new career, as an Online Marketing Mentor! "On average Music teachers are lucky to make $30K per year. I increased my price, increased my closing ratio to 87.5% and tripled income within one month. The program is very powerful and something I would recommend to anyone willing to think outside the box." 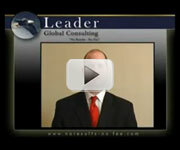 "After a brief consultation with LGC I soon realized the missed opportunity in my past clients. I immediately implemented a follow up program that has since generated a 1 million dollar contract! The largest contract my company had prior was a under $250K. Good work and we look forward to road ahead 'Together'." Marketing Message Instantly Improved my Marketing Efforts! "The marketing coaches with LGC have provided me real-life practical advice on their proven results-based marketing system. I am not a marketer by nature... however they now have me motivated and excited about making 'Sales & Marketing' a daily routine. The powerful marketing message they developed - "If you don't have a receptionist... you ARE a receptionist!" instantly improved my marketing efforts. I am extremely impressed with the results and recommend their services highly!" Surpassed "unrealistic" goal in first 3 months of Program! "When I started working with LGC in Vancouver on re-defining marketing strategies for my Streaming Video & New Media Promotional Services business www.mediastreams.ca - I had set a figure as my monthly income goal, to be achieved after 1 year of following his program. At that time I thought this figure was a bit too high to be realistic, however, I am happy to say that we reached that goal within the first 3 months and I have already revised that monthly revenue goal by doubling the original figure!!! 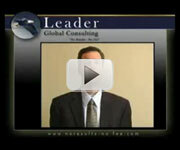 This was the perfect boost my business needed to take it to the next level - thank you LGC!" "The first marketing initiative enabled us to generate 164 new leads in a 9 day period with many others coming in after that. I thought direct mail was a waste of time - I was proven wrong." 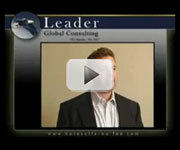 "Initially I was skeptical about hiring LGC to assist in my strategic marketing direction. To my amazement the FIRST marketing campaign cost $400 and netted me $27,245.00! Basically the investment for the marketing was paid back fourfold in the first 14 days of meeting them! I recommend their services to any business owner keen to 'think outside the box' and willing to do things 'differently'. Knowing what I know now... I wouldn't let them leave my office without accepting me as a client! Feel free to contact me for confirmation of this testimonial anytime as I officially owe them one." Skateboard Manufacturer Moves Production Offshore! "With up to 16 staff the labour costs of running my skateboard manufacturing business were killing me. Thanks to some sound advice and incredible contacts I have moved all production offshore and profits are up 57% in less than five months. The LGC Program has allowed me the ability to think more strategically and frame a working model for my company that will no longer cost me dearly at the mere thought of 'expansion'." Marketing Coaches NEEDED - Opportunities Are Limited! !